"We are the national team. We represent this emblem, these colours, our fans, a country," Spain captain Sergio Ramos wrote on Twitter. "Our responsibility and commitment is to you. Yesterday, today and tomorrow, together." 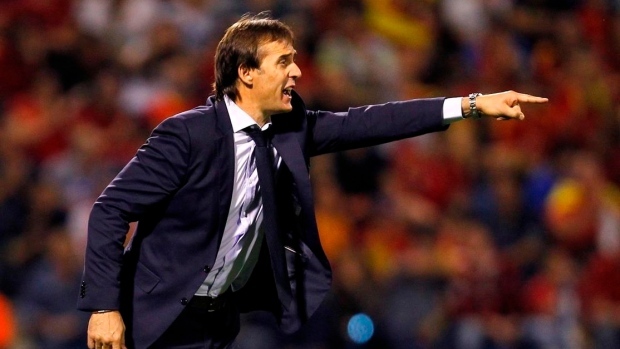 Lopetegui did not attend the news conference but was expected to speak to the media after returning to Spain. Hierro was expected to lead his players for the first time in a practice session later Wednesday. He won European championships with Spain's under-19 and under-21 teams in the early 2010s, but had a lacklustre stint with Portuguese team Porto in his only job with a major club. In one of his first actions, Rubiales cancelled a previously arranged "vacation" trip by officials to the World Cup that would cost nearly 2 million euros ($2.3 million). He got the money reimbursed and spent only about 500,000 euros ($590,000) with new travel arrangements for sponsors and federation officials.